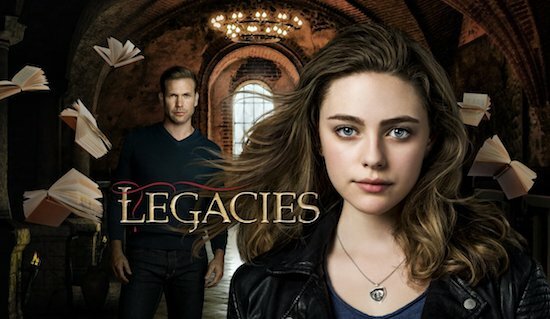 THE VAMPIRE DIARIES and THE ORIGINALS world will live on with this fall’s LEGACIES. On tonight’s brand new episode of THE VAMPIRE DIARIES, it’s Christmas in Mystic Falls, and, well, things are going down. And while things are dramatic in the present, the show has found a way to make the hour a little bit lighter: viewers will see flashbacks of happier years when the friends were together (and able to actually be in Mystic Falls). For as many changes as THE VAMPIRE DIARIES has made this season, one of the bigger ones was bringing back Alaric — and making him a human after he had compelled Elena to forget her memories of Damon. Over the past few years, some THE VAMPIRE DIARIES fans have taken to Twitter to express their desire for a “Delena rain kiss.” (Delena = the Damon + Elena coupling, in case you aren’t familiar with ‘shipper shorthand.) And while some fans may have thought it wouldn’t happen, in a recent episode when Damon reflected on his time with Elena, fans got the kiss they had requested for so long. 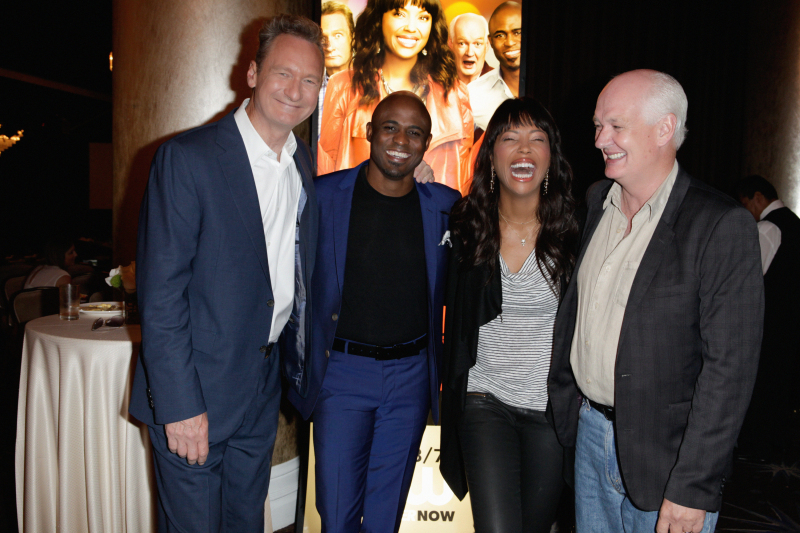 Comments Off on In Case You Missed It…HOW I MET YOUR MOTHER, SLEEPY HOLLOW, CASTLE, and More! I spoke with Young about him pitching himself for a different role on the series, being impressed with the reboot, and more.. While crafting a new show can traditionally be a long process, for THE TOMORROW PEOPLE executive producer Julie Plec, this journey goes back to when she first watched the original series. Last week, news broke that former DOWNTON ABBEY star, Dan Stevens, would be lending his voice to THE TOMORROW PEOPLE’s TIM, the show’s artificially intelligent mentor. THE ORIGINALS will hit the ground running when the series officially debuts on Thursday, October 3rd at 9 PM on The CW — the first episode will retell some of what viewers learned in the pilot episode (from Elijah’s perspective) and as THE ORIGINALS executive producer Julie Plec told reporters at Comic-Con, viewers will also soon be treated (via flashback) to Klaus and Marcel’s very first meeting. 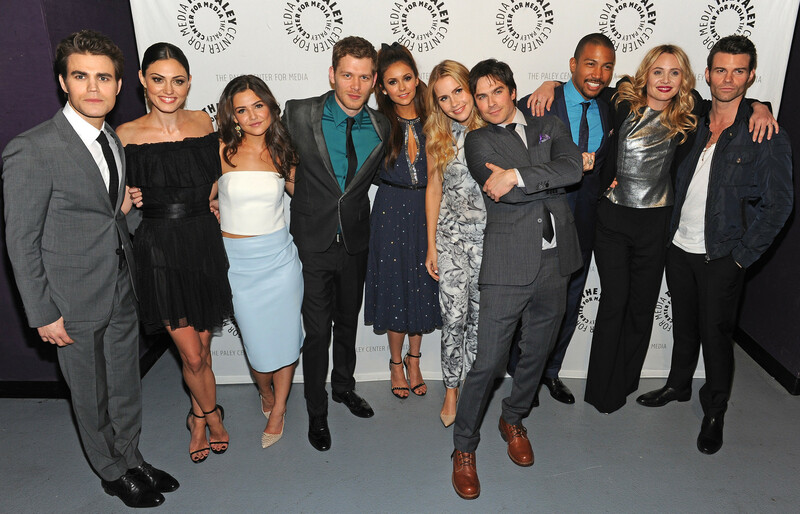 THE ORIGINALS may have made its debut as a backdoor pilot during last season of THE VAMPIRE DIARIES, but if potential new viewers missed that, the CW series has a creative way of catching everyone up on what went down — the official first episode of THE ORIGINALS will be retelling what happened in “The Originals” episode of THE VAMPIRE DIARIES from Elijah’s point of view. For years, THE VAMPIRE DIARIES has played by its own rules, where time didn’t need to necessarily to reflect what was going on in the real world, and they could move through things at their own pace. But now with the addition of the show’s new spinoff, THE ORIGINALS, things will be complicated a bit as the shows have the potential to share characters…and as such both will need to remain close in time so continuity isn’t thrown off-kilter.